Display 1.7” inches QQVGA Display. Resolution 144 Pixels x 186 Pixels. Battery 800 mAh Li-ion Battery. Battery Stand-by* 190 Hours (*Depends on phone setting, network). 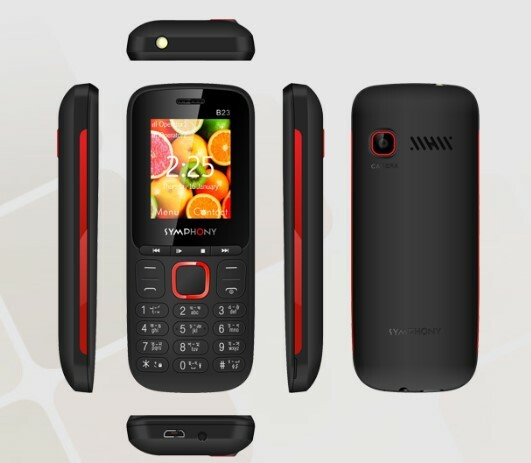 Features Torch Light, Wireless FM, Keypad Notification Light, Torchlight Notification, Battery Saver, etc. Thanks for staying with us a long time and visiting Symphony B23 Price in Bangladesh & Specification article. If you have any question or confusion about the Symphony B23 BD Price? Just Comment here. We reply as soon as possible with a correct answer.